The DS-40, MagniView™ handheld magnifier has been designed with simplicity in mind. Its top mount thumb rest promotes a more natural hand position creating balanced weight distribution between lens and handle. The 2.5x power lens and 5x high power spot lens and lightweight design is perfect for extended reading times or for those with limited strength. The 5x spot lens is molded in to the crystal-clear acrylic primary lens for ease of use and seamless focusing transitions. 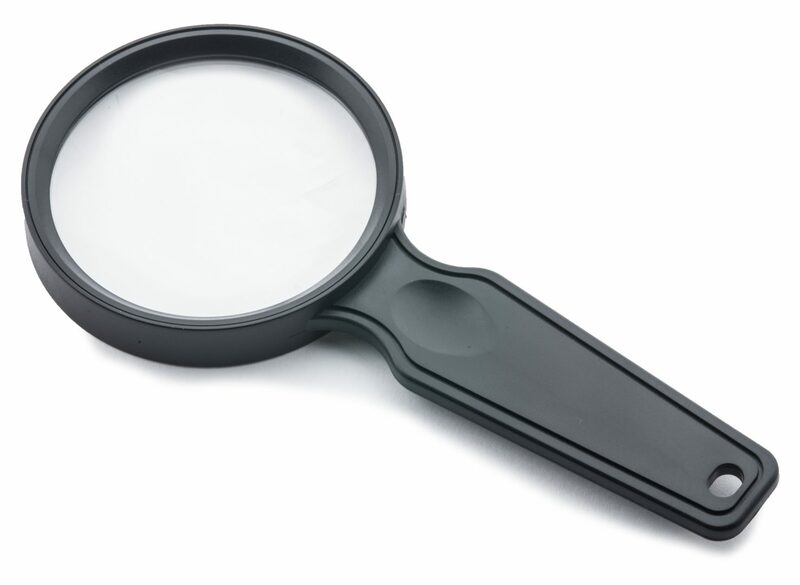 Protected by a full rim, this magnifier is the perfect accompaniment for around the house or on the go. Ideal for reading small print, crafts & hobbies and arts & crafts. Great for use in the home, at school or in the office!